This series is co-hosted with the Coastal Watershed Council. This series of FREE walks hosted by the Santa Cruz Museum of Natural History and Coastal Watershed Council aims to connect our community with the San Lorenzo River. The San Lorenzo River watershed is home to you and me, AND all sorts of birds and bugs, fish and fungus, plants and amphibians. Learn about the wildlife that lives in and along the river during the 3rd Annual Exploring the San Lorenzo River Series! Join expert birders, wildlife specialists, and fisheries biologists on guided walks along the river, to learn and connect with this beautiful natural resource in our own back yards. At the midpoint of these walks we will celebrate Earth Day with a citizen science “BioBlitz” to capture biodiversity data along the river. February 9: Majestic Redwoods. Explore redwood ecology, and how the history of our watershed connects us to the world’s tallest trees. February 23: Fungus Amongus. Identify fungus along the river with Phil Carpenter of the Fungus Federation of Santa Cruz. 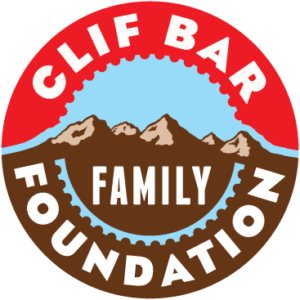 March 9: This walk was rescheduled due to weather conditions. March 23: Levees and Climate Change Resilience. How will climate change affect the City of Santa Cruz and the San Lorenzo River? Learn about steps the City is taking to address vulnerable areas and what actions you can take to prepare yourselves. Lead by City of Santa Cruz Sustainability and Climate Change Manager, Tiffany Wise-West. FULL April 13: Fungus, Flora, and Fauna. Christian Schwartz guides our discovery and answers questions including: what fungus lingers as the seasons change? What flowers arrive early to welcome migratory birds? April 20: Earth Day BioBlitz. Celebrate and study the river’s biodiversity! What better way to put your river knowledge to use for science and learning. Work with fellow naturalists, scientists, and other experts to study and record the biodiversity along the San Lorenzo River. April 27: LandScapes and Activism. Learn about the history of the San Lorenzo River and Santa Cruz from 1955-2005 and how transformations of the river landscape impacted the local ecology and human history. (FULL) May 11: Faults, Floods, and Fossils. Frank Perry will point out the unique features that tell the storied past of the San Lorenzo Valley. May 18: Field Journaling Along the San Lorenzo River. Explore Coastal Watershed Council’s San Lorenzo River Habitat Enhancement Site with local artist Melody Overstreet. Learn about the ecological community at the San Lorenzo River through observation, plant care, drawing and guided reflection. June 8: Indigenous People in the San Lorenzo Valley. Learn about the first people to live in the Santa Cruz Mountains, how they managed natural resources, and more. June 22: Bilingual Bird Walk – Camino Biligue Sobre Los Aves. 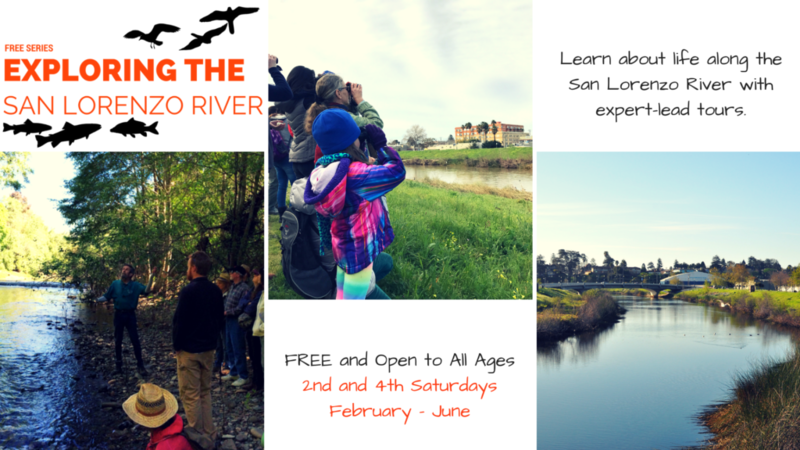 Learn to observe birds who come from near and far to the San Lorenzo River. Local bird enthusiast Nanci Adams, will lead the bilingual walk. || Aprender a observar las aves que vienen de cerca y lejos a nuestro Río. Nanci Adams, una entusiasta de aves, conducirá el paseo bilingüe. We are happy to welcome speakers and collaborators from Santa Cruz County Parks, and many other wonderful local organizations that share our goals of connecting people with the river.